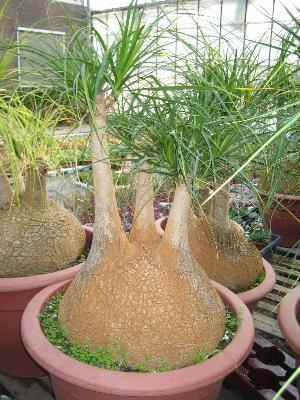 Pop names: Pony tail palm, Bottle palm, Elephant's foot, Elefantfod. Synonyms: Dasylirion recurvatum, J.F. Macbr., Nolina recurvata, Hemsley 1884. The name is discussed a lot! Found this huge plant in Göteborg Lustgårdar. Nice round plants from Winco. 35 years old. This member of the Nolinaceae family was described by Charles Lemaire. It's found in the south-eastern part of Mexico. 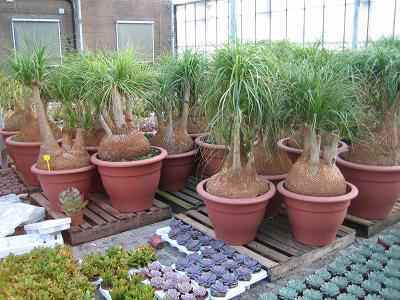 Give it lots of sun, well drained soil and some water, and the caudex will grow to 3,6 meters in diameter, and the stem will reach nine meters. 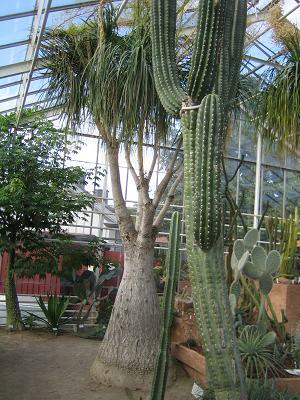 It can be reproduced both by cuttings and seeds. I bought mine in Roskilde around 1980 and after it has survived many years of over watering, it died in 2006 after what I thought was the right dryer winter treatment. It is dioecious, but will only flower when it's 20 years old. Lots of white/yellow/crème flowers give small fruits with 2-3 seeds. This was my first caudiciform. It hasn't had soil for 10 years, but seems to grew fine. One year it suddenly grow a side-branch. I don't let it go to dormancy, but it can. It can even stand frost (-7 C). The family-name Nolina comes from the French agriculturist P. C. Nolin. 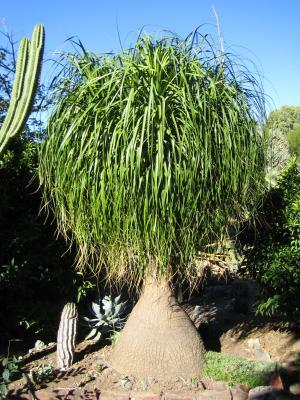 University of Connecticut lists Beaucarnea recuvata as Nolinaceae. The International Plant Names Index lists Beaucarnea/Nolina recuvata as Liliaceae. Missouri Botanical Garden lists Beaucarnea recuvata Liliaceae. 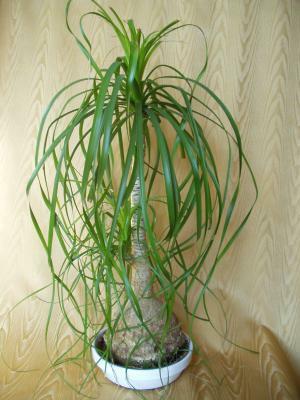 University of Vermont lists Beaucarnea recuvata as Nolinaceae. Real nice looking plant in Obesa Cacti Nursery in South Africa. 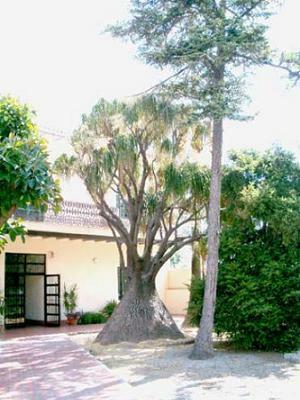 Big plant from Piteralandia, Alicante, Spain. Copyright Spain: P.C. van der Meer.